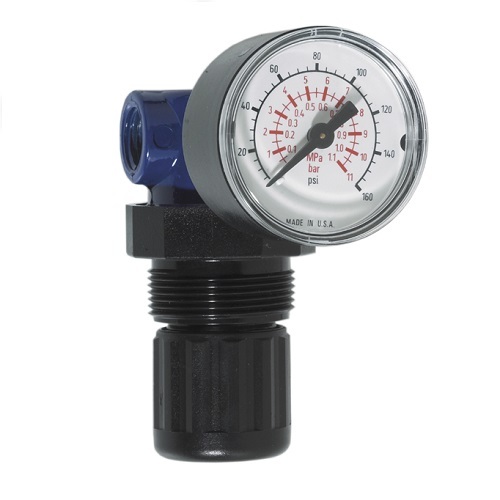 The Campbell Hausfeld mini air regulator (MP514803AV) provides regulated output pressure from 0 – 125 PSI for proper air tool operation. The self-relieving design vents downstream air for easier adjustment while a locking pressure knob prevents accidental pressure changes. 26 SCFM flow @ 90 PSI inlet. 5 PSI pressure drop. 69 SCFM max flow capacity @ 90 PSI inlet.